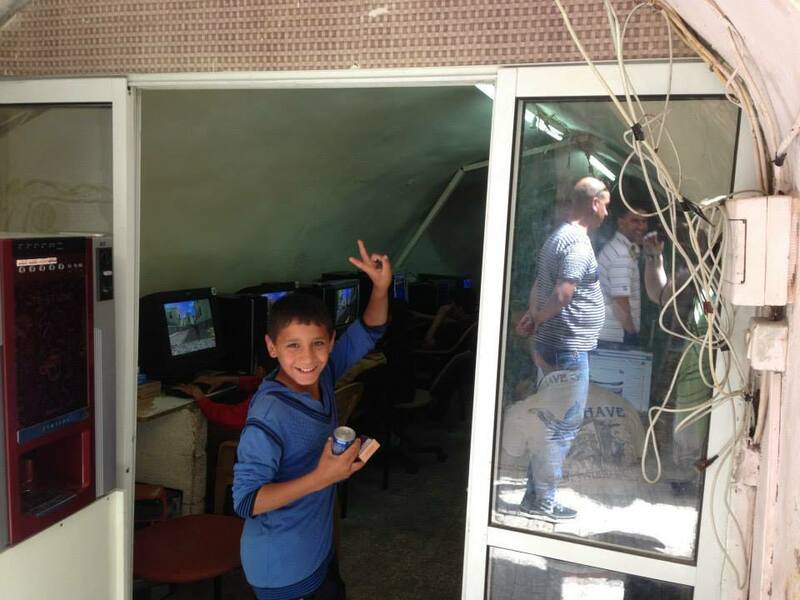 Posted on June 9, 2014 March 3, 2015 by Sarah R.
A young boy gestures at me as he enters an internet café in the Hebron souk. I’m back stateside after a remarkable 12-day trip in Palestine with a group of nine other incredible and amazing scholars. During that time, I visited five Palestinian universities, met numerous professors and students and administrators, went to several incredible research and cultural organizations, met with people in their homes, visited amazing holy sites such as the Al-Aqsa mosque and Dome of the Rock shrine and numerous Christian sites, went to the besieged city of Hebron, got harshly stopped at the Qalandia checkpoint and witnessed the shameless racial profiling of colleagues, visited the northern resistance city of Nablus and visited a solidarity sit-in for hunger striking prisoners in “administrative detention” (read: endless detention without charge), met incredible people just by sitting in cafés in East Jerusalem or walking into shops, and had a life-changing time. Wherever I went, Palestinian people would ask if I was American and, when they learned that I was would say two things: “Thank you” (for coming to bear witness) and “Please tell everyone in the US what it’s like here.” This was said to me over and over, and it was I who needed to do the thanking. 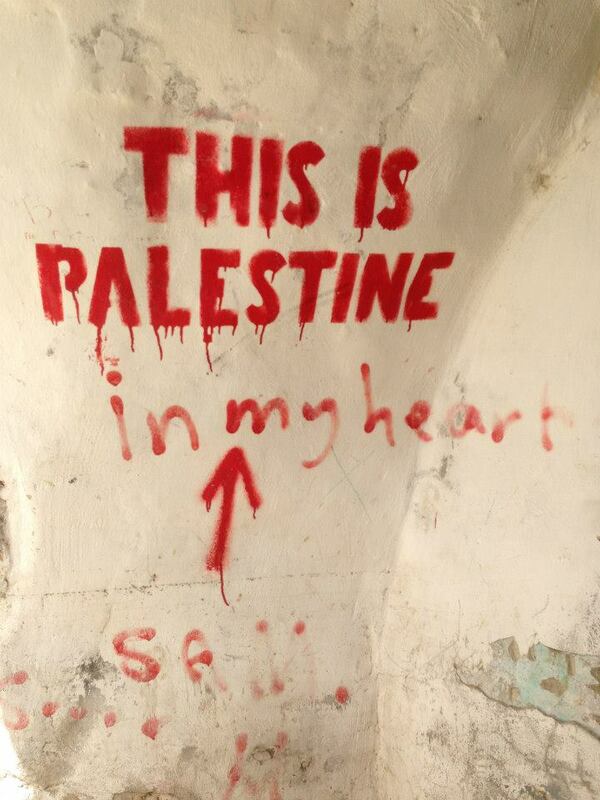 The generosity of the Palestinian people I met was boundless. Their interest in communicating to me the circumstances of their daily lives was something I was humbled by and am deeply grateful for – imagine how exhausting it is just to deal with this on a daily basis, much less to impart that reality to a visitor, and one that comes from where I do, a country responsible for the support of Israel. Meanwhile, during the trip, I was conscious of the fact that I was circulating in places where people who lived their whole lives in the region would never be allowed to see, given the “Brazil“-like regime of permits, ID cards, “checkpoints” and the like. As an LIS professor and professional, I was acutely aware of the ways in which access to information was an element foundational to both struggle and oppression. The closure of universities and their libraries during uprisings was a common occurrence during periods of unrest, with some facilities forced to stay closed for years at a time. Access to the internet and to fast mobile networks is highly restricted and regulated. There are no LIS programs whatever within Palestine to educate practitioners and a dearth of people to take up the field in the face of upcoming mass retirement. “The Wall” wends its way across the land. Every day brought new mechanisms, protocols, practices and images of the normalization of large-scale violence and everyday oppression. Throughout the land, the apartheid wall wends its eerie pervasive way, carving up villages, cutting off access to land, imprisoning people where they live. It must be seen to believed. I encourage everyone – everyone – to learn more. I’m happy to talk about this with anyone who is interested. 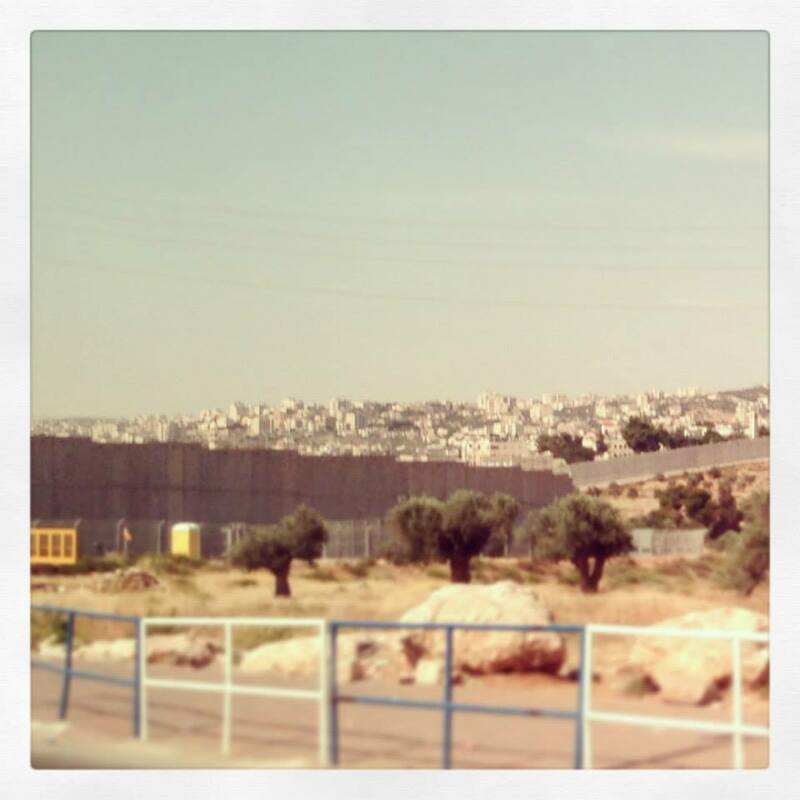 This link will take you to a piece I wrote on this site, and, later, for Mondoweiss, during the ASA BDS debate, and serves as the impetus for my own trip to Palestine.